In the first stage a girl butterfly lays eggs. A butterfly first starts out as an egg. A girl butterfly lays the eggs on a leaf. She lays the eggs really close together. The eggs are really small and round. 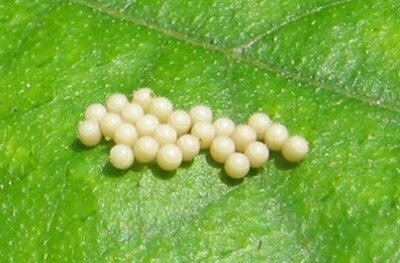 About five days after the eggs are laid. A tiny worm-like creature will hatch from the egg.